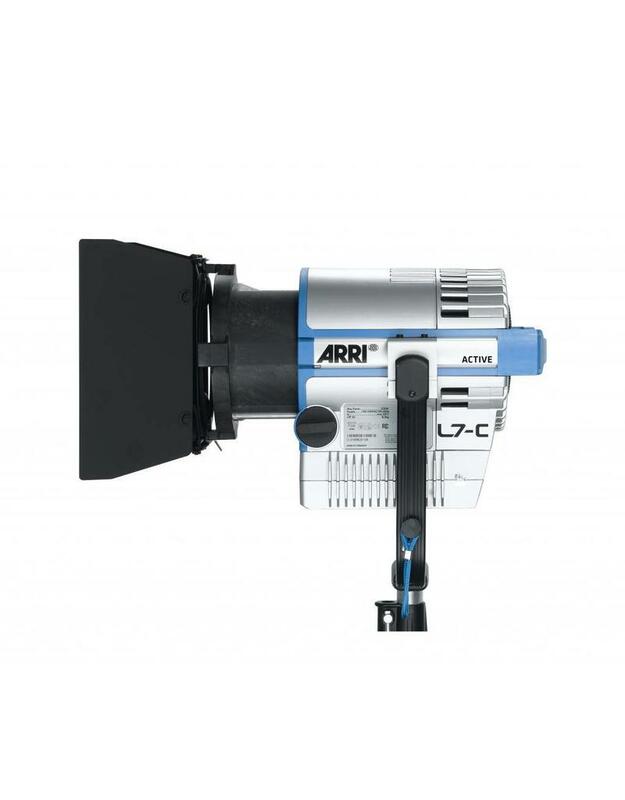 The L7-C LE2 Color LED Fresnel is part of ARRI's continuing effort to replace traditional Fresnels with powerful LED versions that bring along with them unprecedented color control. The L7-C LE2 shares many characteristics of its predecessor but the most obvious improvement is a 25% boost in power, increasing the light's tungsten equivalency from 750W to 1,000W. This pole-operated version is meant for overhead mounting on pipe lengths or a grid. Pan, tilt and focus are controlled from below with an optional pole using the 3 corresponding cups on the unit's special yoke. 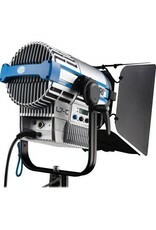 The key characteristic of any Fresnel is flood to spot capability and the L7-C LE2 meets and exceeds expectations with an impressive beam angle of 15-50°. There's simply no learning curve or accommodation to be made when swapping out L7-C LE2s fixture for fixture with standard Fresnels. In fact, you're not going to be moving them around or juggling scrims in high places thanks to the 100 - 0% on-board dimming. 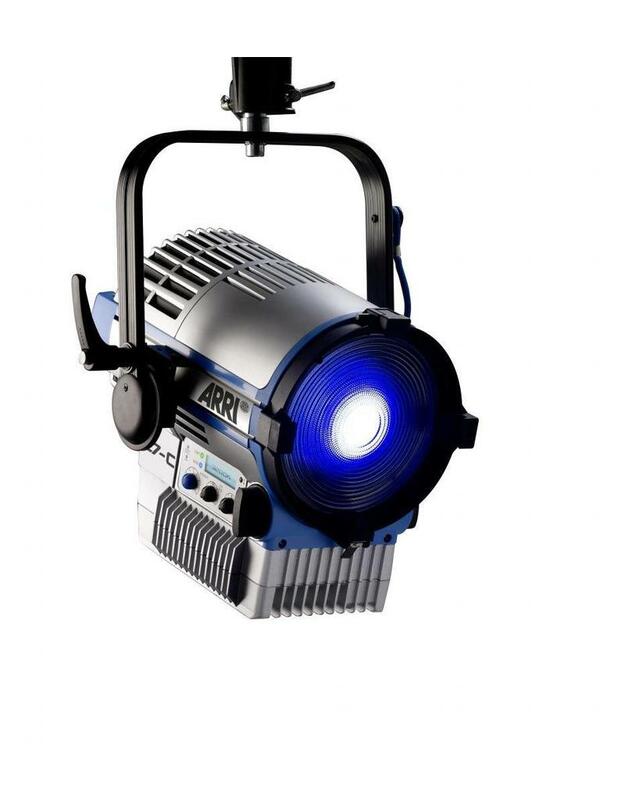 The L7-C LE2 is a "fully tune-able" white light source, too, allowing you to match existing fixtures from a warm 2,800K to ice-blue 10,000K. The on-board controller allows manual intensity control as well as color temperature and +/- green. Specific color shades and skin tones can be matched through the full gamut color mixing feature. 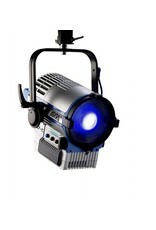 All of the functions can be controlled via DMX, an ideal feature for broadcast studios. The hybrid cooling system allows for cooling both actively (with a fan) or passively (without a fan) for times when the set needs to be dead quiet. 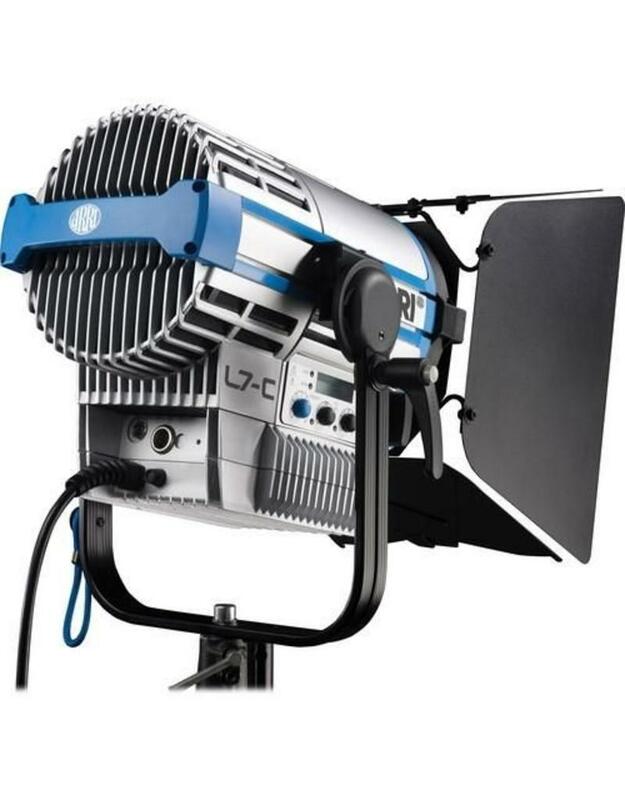 The L7-C LE2's 1,000W equivalent output draws only 160W during normal operation, making possible a savings of a 75% over similar output tungsten lights. And low heat means lower AC bills in the studio. 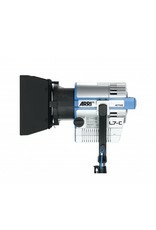 You can actually run 9 L7-C LE2's from a 20A, 120VAC outlet as opposed to two 1,000W or three 650W standard fixtures.